Dawn M. Fry of Cookeville was unanimously elected by the Utrust trustees to fulfill the unexpired term of Don Weathers (Wilson County) on the Utrust Board of Trustees. Weathers did not seek re- election to the Wilson County Board of Education. Fry will be one of seven trustees governing Utrust. 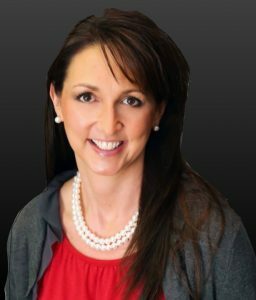 She joins Regina Waller of Trousdale County as one of two school board members representing Middle Tennessee on the Board of Trustees. Fry, a member and former chairman of the Putnam County Board of Education, is an attorney affiliated with Fry, Fry, Knight & Murphy in Cookeville and an adjunct professor of Business Law at Tennessee Technological University. She is the mother of twins- – a boy and a girl. She was recently re-elected to a four-year term on the Putnam County Board of Education. She has been chairman of Kids Putnam since 2012. In 2013, Governor Bill Haslam appointed her to represent the Upper Cumberland Development District on the Tennessee Council on Developmental Disabilities.